I realised back in December that my wardrobe was pretty light on shorts and set out to rectify that. 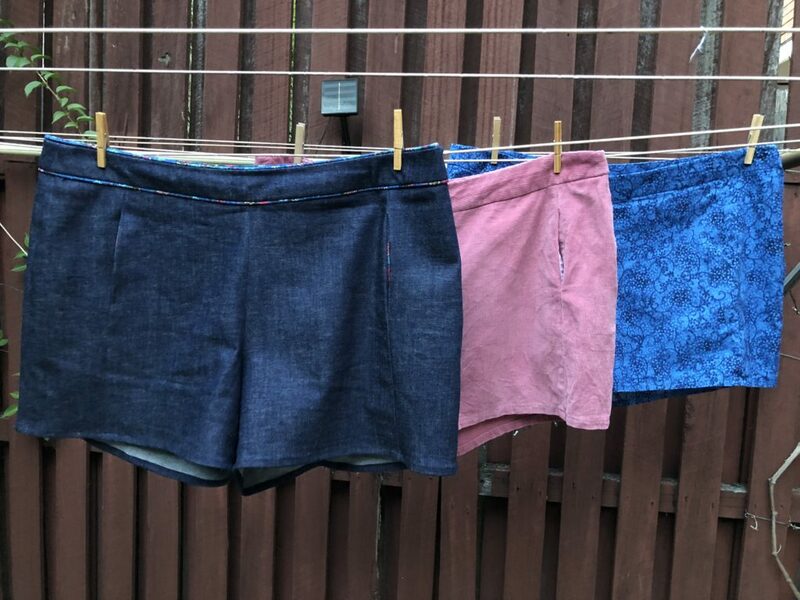 I ended up making FIVE different pairs from two different patterns, and I’m pretty happy with how they turned out! 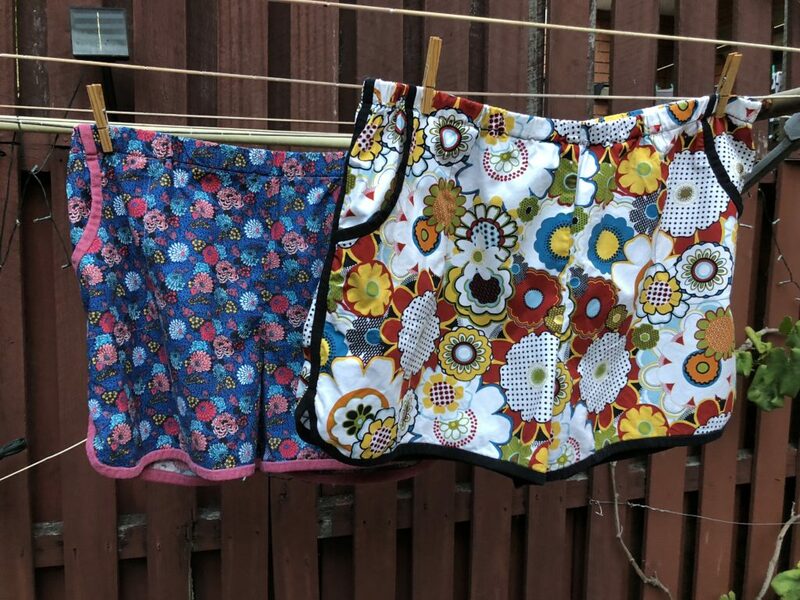 These three pairs are all based on Colette Patterns Iris Shorts. They’re sort of retro, with pockets set into a front seam rather than on the hips. They open with a zipper on the left side. I bought this pattern years ago and made a first attempt at them, but they didn’t fit at all and I was too disheartened to try again. This time I was determined to crack it. This was my first attempt. 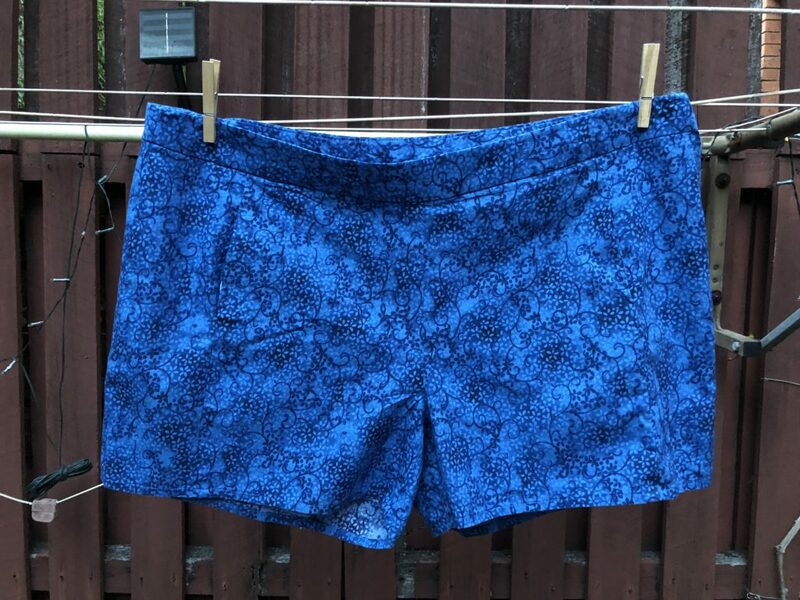 I didn’t want to use anything too fancy until I had fixed the fit issues so I used this blue floral quilting cotton I had in my stash. 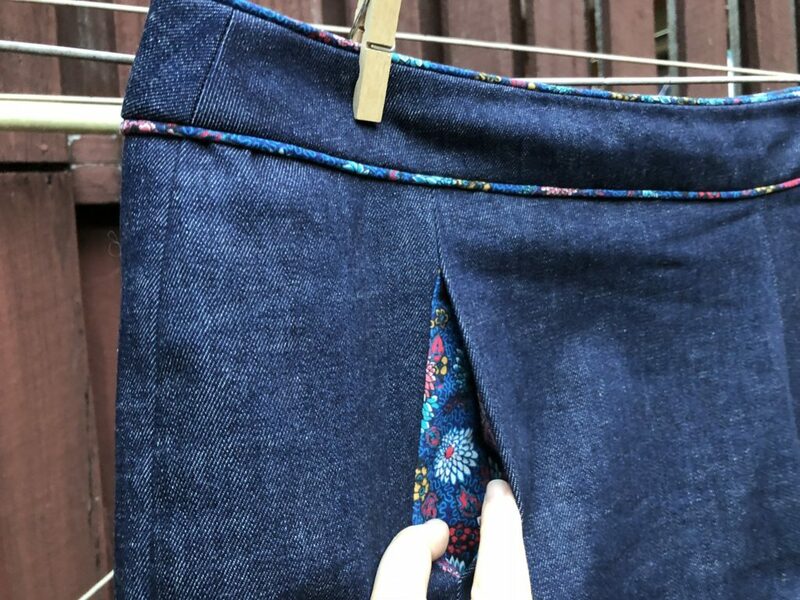 My first attempt was again a complete disaster, so I ended up pulling them apart and recutting the bum pieces to add more width to accommodate my hips. That seemed to do the trick! Wearable, but not perfect. For my second attempt, I made further adjustments. The blue pair felt like they were, uh, riding a bit high, so I lowered the crotch by half an inch on both the front and back pieces. (The first adjustment detailed on this page.) 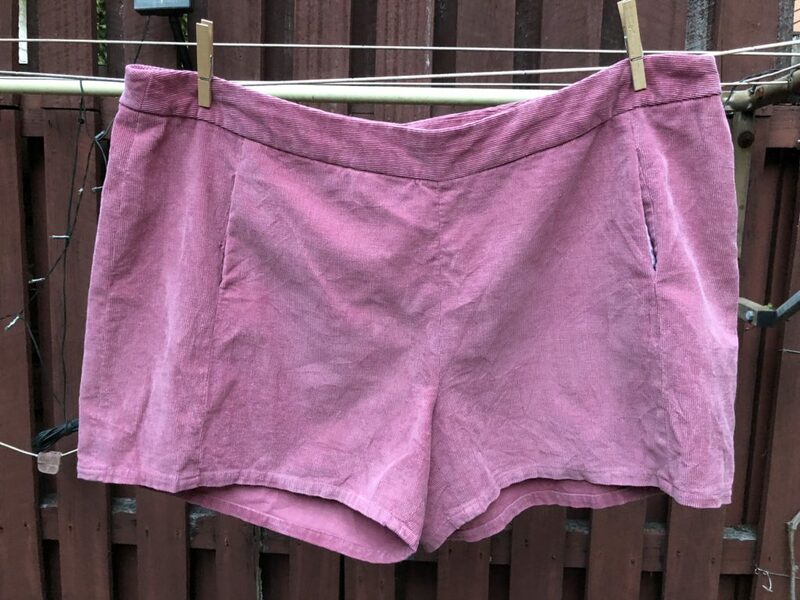 For this pair, I used a pink fine-wale corduroy I bought from Jody‘s Mum’s destash. I didn’t have much of it, which turned out to be problematic when I screwed up the cutting and had to recut one of the front panels. There’s definitely some bodgy bits around the pockets on these, but overall the adjustment was a success. The fit is relaxed and comfortable! 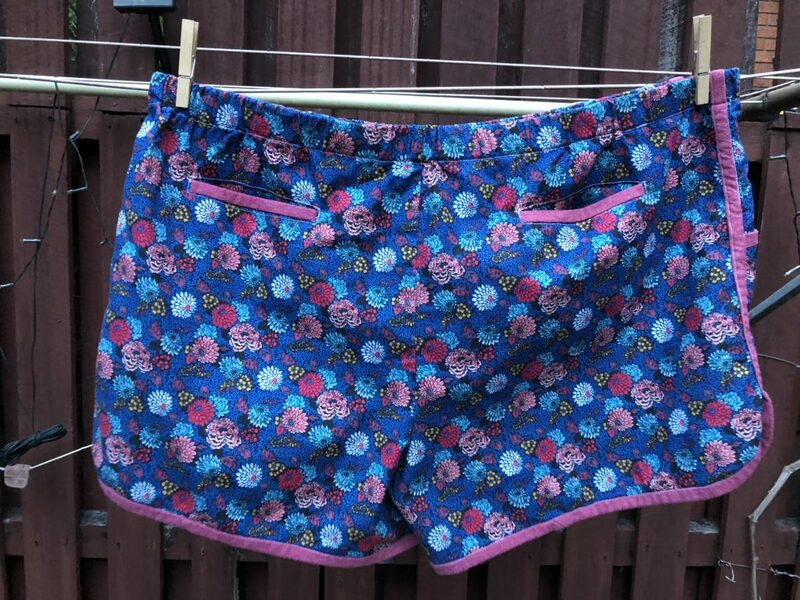 The other two pairs of shorts I made were from the Prefontaine Shorts pattern by thatmoxiegirl. I ❤ this pattern! This pattern is a roomy cut and features very inclusive sizing, so I didn’t have to make a single change. 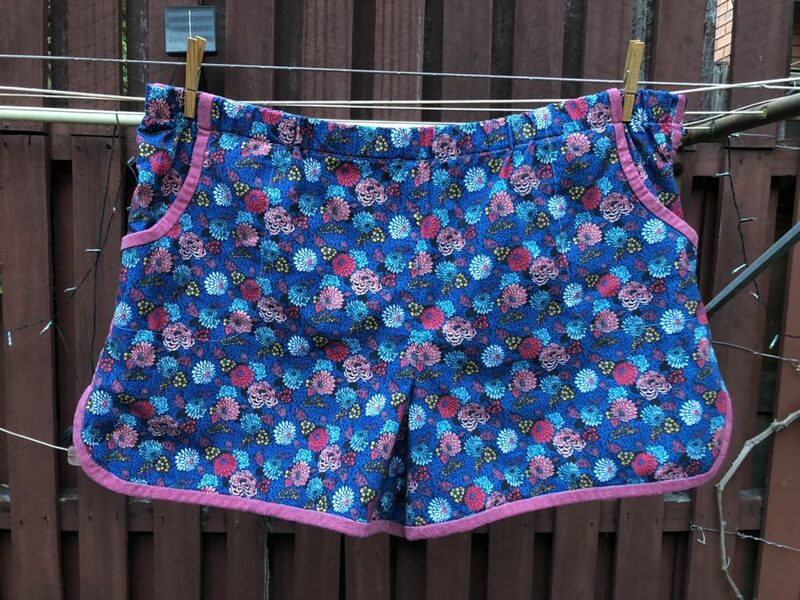 These were the first pair I made, which used some quilting cotton I’ve been holding on to for years, waiting for just the right project. I’m slightly annoyed that I wasn’t smart enough to vary the placement across the fronts to avoid the obvious repetition across the crotch seam, but it’s fine. The waist is elastic so you don’t have to bother with putting in a zipper. The black trim along the edges is actually recycled from an old t-shirt! That’s a trick that the pattern suggests, and it’s brilliant. Since it’s a knit it goes around the curves easily without needing special bias tape, and it feels great against your skin. My second pair turned out so, so well. 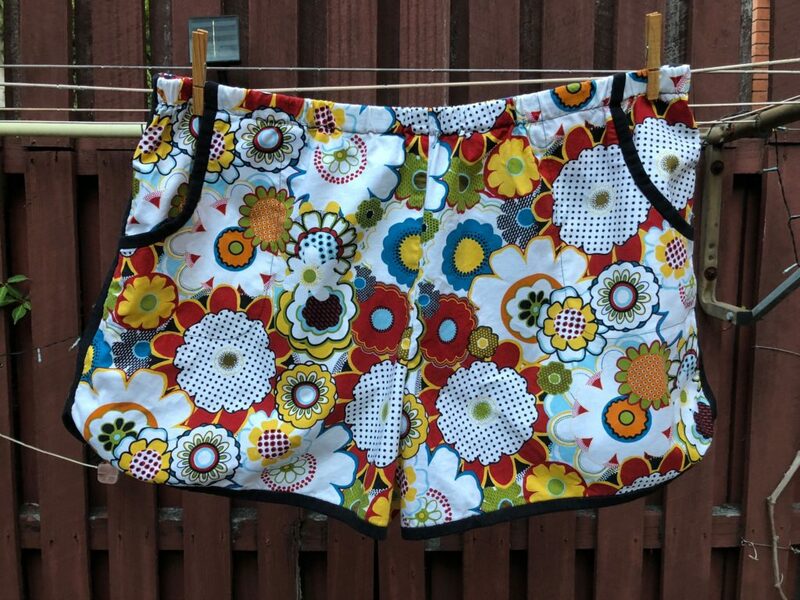 As soon as I saw this Liberty Meandering Chrysanthemums cotton canvas at The Fabric Store’s sale, I fell in love and immediately knew it was destined for these shorts. The dusty pink trim is again from an old t-shirt. 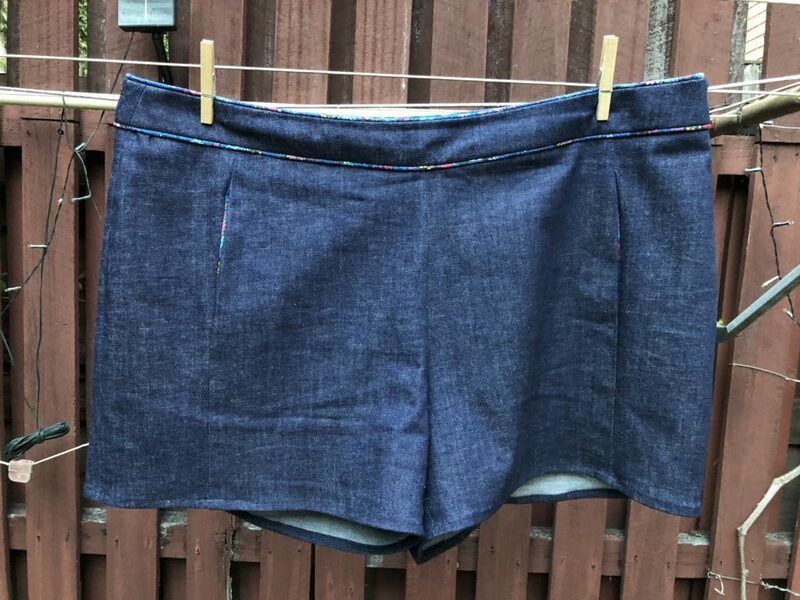 For this pair, I also added welt pockets on the back. They’re a perfect size for my cell phone! I cannot tell you how satisfying it is to make your own clothes! It’s getting to the point now where Rodd and I will both be wearing garments that I’ve made, out in public or to work or whatever, and nobody knows that there’s actually no label inside. Hm. Maybe I should get my own labels, huh?